Together with other Kusto Group members, I recently completed a five-day study tour in the American heartland to see first hand, best practices in the livestock and agribusiness sectors. 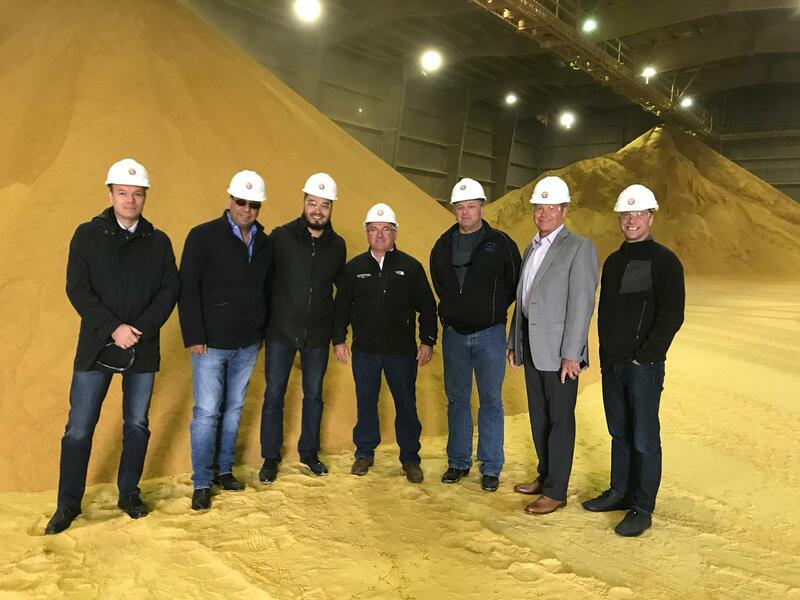 We visited an ethanol plant, cattle ranch and agricultural IT experts in North Dakota, packing plants in South Dakota, geneticists in Iowa, seed experts in Minnesota and irrigation professionals and equipment manufactures in Nebraska. It was a whirlwind tour of leading industries and companies and a great opportunity to learn from some of the best, while enjoying the hospitality of the Midwest. 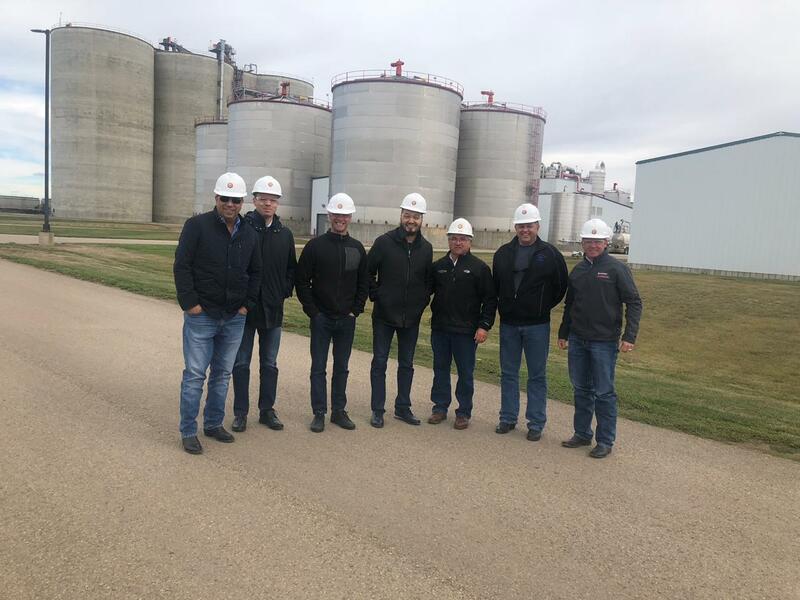 Everywhere we went, we met hard-working, successful and honest people and I want to express a special thanks to Bill Price, Quinn Engel, Josh Dixon, Ruediger Claas, Rich Berkland and the whole team at Valmont for hosting our visit. Perhaps the most important reflection from the trip is just how inter-connected these industries are, and how much untapped potential exists in agricultural markets in Kazakhstan, Ukraine and the region at large. The future is bright and now is the time to invest in these markets and countries. One statistic that captures this tremendous potential is that North Dakota – a state that produces roughly the same amount of oil as Kazakhstan – has an agricultural economy even bigger than oil! No longer is agriculture a backwater sector, with low economic and investment potential. Some of the most successful companies in the world are in the livestock and agriculture business – and these companies are transforming the world. 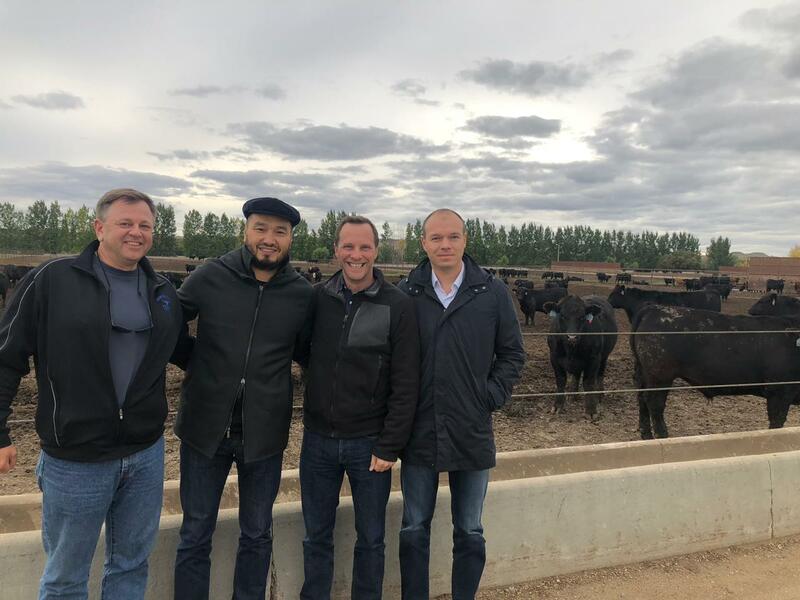 Kusto Group is excited to work with them through our KazAgro and KazBeef companies, and help transform Kazakhstan, Ukraine and other markets. The second major take away is the profound impact of high tech on all of these businesses. Big data, real-time analytics, artificial intelligence, optimization – they are all part of the agribusiness world – where some of the most cutting edge advances are taking place. Now is the time to recognize how they are transforming our lives, increasing food security and enhancing the quality of life for farmers and consumers. Many more groups – including government, the public at large and the private sector – should join in this new technological revolution and work together to put a new vision for sustainable agriculture into practice. The future of economic prosperity for countries like Kazakhstan and Ukraine can be built on a platform made up of interconnected, high-tech agribusinesses. This inter-connectivity, including in the livestock business is ideal because we don’t have to wait to take advantage of decades of development and knowledge: all that learning and the synergies that come with them can be unlocked today. Not only does investment in agribusiness leverage local comparative advantage and the strong historical competencies of the region, it also forms a perpetual cycle of growth, value added productivity, and long term economic stability.